Our licensed, bonded, and insured professionals at Bedford Lock & Key can create duplicate keys for your home, car, or business quickly and safely at our Bedford store location. We are able to offer a secure and convenient method of creating replacement keys for your personal and professional needs. Bedford Lock & Key is available 24/7 for your emergency locksmith needs in MA. Much like getting locked out of your business, home, or car, you might face additional obstacles regarding your keys. 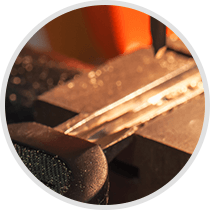 Whether you lose them, damage them, or need a spare set, we are here to help you as much as we can, with our emergency locksmith and key cutting services.